The world of document management has been going digital for some time now but there are still skeptics among us. Here we'll take a look at why microform scanning really is the best solution. In its time, microform were a highly useful form of document storage. During the Franco-Prussian war, the government sent pigeons with information to each other. These pigeons carried microform rather than paper to send highly confidential information. During World War II, letters to troops were stored onto microform to reduce the weight of the letters when they were sent on overseas. Going digital with your microform offers a number of benefits that you just don't get with keeping your documents stored on microfiche. 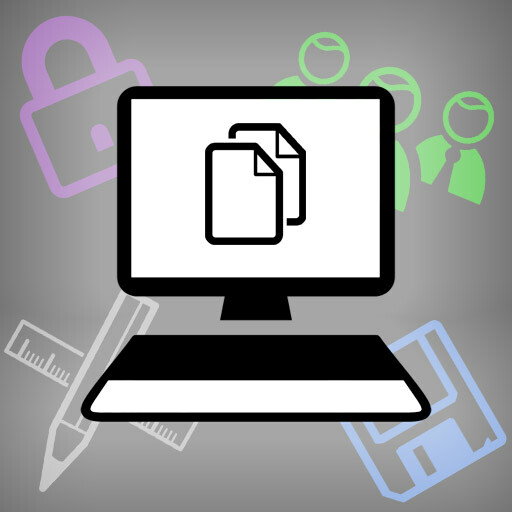 Digital copies of your documents and files are more secure because they are protected from loss, theft and damage through file encryption, password protection and file backup. You can view digital files on large range of devices so you don't need to purchase an expensive machine like a microfiche reader just to view your documents. Digital documents can also be accessed through a simple text search (once the scanned images have been OCR processed) unlike microfiche and microfilm which have to be loaded into the viewing machine before the information can be searched for manually. Once you have got your microform scanned, you may also find that your scanned images give you a better quality of your information than the original did. Often information stored on microform needs to be shared or sent to other people. This can be incredibly difficult when the only copy of the document you have is stored on microform. With digital documents it is quick and easy to share them via email, shared network or online cloud platform. Have you been convinced yet? Not quite? Well let me tell you about Pearl Scan's Microfiche and Microfilm Scanning Services. Here at Pearl Scan, we offer fully bespoke and complete microfiche and microfilm scanning services. We handle the entire process from collection of your microform right down to delivery of your digital documents and disposal or return of the hard copies. We also provide OCR scanning and conversion services as well as document management software should you need it. By scanning your microform with Pearl Scan, you can reap all of the benefits above and so much more. As the title of this article suggests, the only way to prove the value of going digital is to try it out for yourself. For a free, no obligation quote for your scanning project or for more information on how you can benefit from having your microfilm or microfiche scanned, get in touch today and speak to a member of our friendly and experienced team.